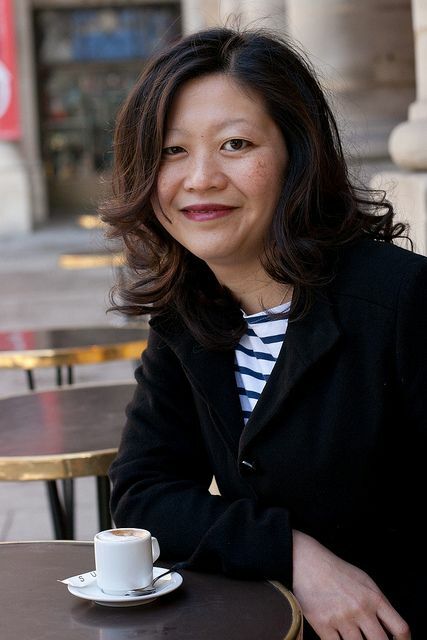 Today: Ann Mah, author of Mastering the Art of French Eating, reveals her weakness for a certain French pastry, discusses how to make authentic French food at home, and shares a recipe for classic salade lyonnaise. Plus, we're giving away 5 copies of her book! Many of us dream about French food but are too intimidated to make it ourselves. Escargot dripping in garlic-butter and bubbling cassoulets seem more suited for eating at a Parisian bistro than at your kitchen table. Thanks to writer Ann Mah, who spent a year traveling in France, we can set that fear aside and get into the kitchen. It turns out you don't have to be in France to make authentic soupe au pistou or buckwheat crêpes. Ann's new book is full of recipes for regional French dishes that can be made stateside. French cuisine, Ann discovered, is about patience and connection to the land, something we can all incoporate into our cooking no matter where we live. Read on to learn what Anne thinks is the most underrated French dish and why she hasn't ventured into the world of pastry. 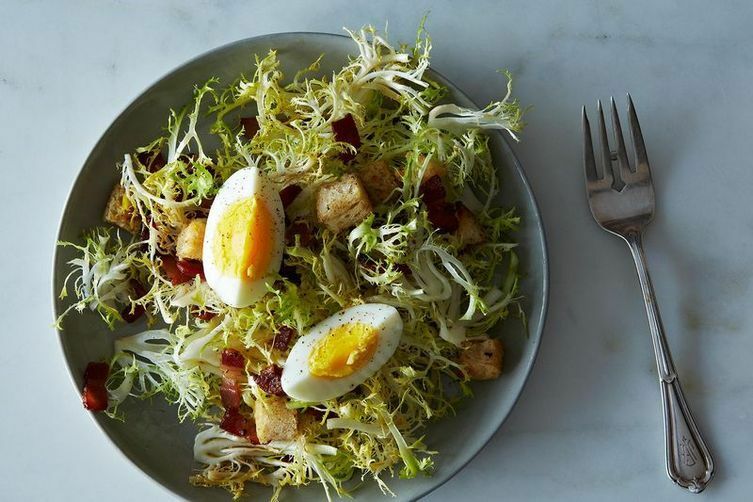 More: Get Ann's recipe for classic Salade Lyonnaise. How do you personally define authentic French cuisine? What are the principles of French cooking you've taken stateside? One of the things I love most about eating in France is the connection between food, and place, and history -- the way a recipe grows from the land, takes root, and is eaten in the same spot for hundreds of years. But I'm not a purist and I strongly feel that when a dish is cooked thoughtfully, using traditional techniques, it doesn't lose authenticity, even if it's prepared outside its region. For me, patience and time are the hallmarks of great French country cooking and I've tried bring more of both into my kitchen. At the end of each chapter, you include a recipe for a regional speciality, but were there any French dishes that you simply weren't able to recreate at home? I like to think that I'm the kind of flexible cook who will attempt to recreate any recipe anywhere, even if the ingredients aren't exactly authentic. But there is one thing that I would never try to make from scratch: andouillette, or tripe sausage. The very smell of tripe defeats me! Andouillette is available in the States by mail order -- and my book includes a mustard sauce recipe to accompany it -- but it's not the same as true andouillette from Troyes, which is a venerable sausage that many French people do indeed consider sacred. As one French friend told me, when he eats andouillette, he feels connected with the terroir, the land itself. 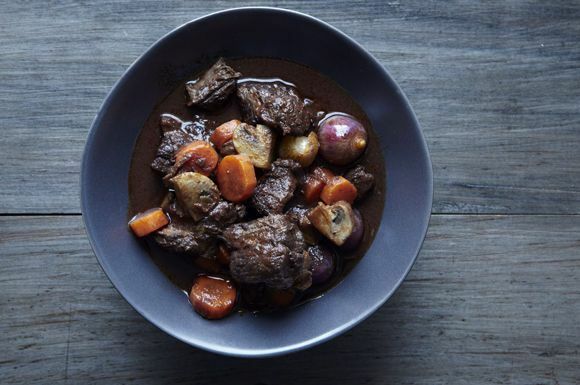 It's easy to picture baguettes, boeuf bourguignon, and crêpes when we think of French cooking. What are the French dishes that deserve more fame and attention? One of my favorite regions is Provence -- and when people think of the south of France, they usually think bouillabaisse. But Provence is a big place -- and I eventually discovered that bouillabaisse is a specialty only along the Mediterranean coast. The dish that's truly beloved throughout the region is soupe au pistou, a soup filled with summer vegetables, perfumed with a fragrant basil sauce called pistou (it's very similar to pesto -- but don't tell anyone in Provence I said that). It's a celebration of summer's bounty. I make a big pot every year and have often wondered why more people -- even in France! -- don't know about it. Was there anything you missed about American food culture during your time in France? Oh, yes! Living in the States, I never truly appreciated the variety of foods we eat every day -- falafel for lunch, Chinese for dinner, Indian food, pizza, sushi -- it's all at our fingertips! In France, food is, for the most part, French. I missed ethnic food very much -- and I really, really missed spice. Your book includes savory French recipes, but what are your favorite French pastries and desserts? Have you ever attempted to make those at home? 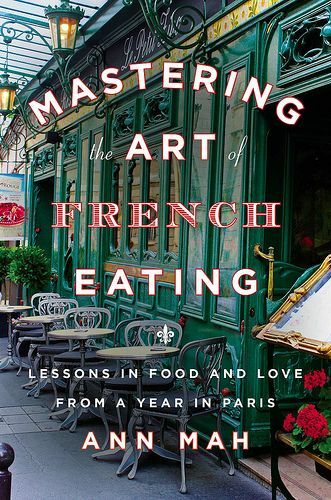 We're giving away 5 copies of Mastering the Art of French Eating! To enter, tell us in the comments: What's your favorite French food to make at home? We'll pick the winners by Wednesday, October 2 at 3 PM EST. French Macarons... my wife is a french pastry chef. So hard to choose . . . it's a chilly, rainy day where I live, so I will go with the ultimate comfort food: boeuf en daube and apple tarte tatin for dessert! Coq au vin - especially on a cool fall day like this! 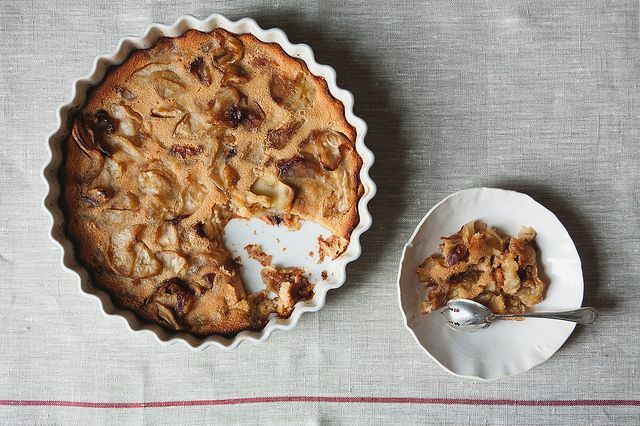 I love making this fabulous, simple French Apple Cake. And also radish and butter on baguette slices for lunch. Pain au chocolat. It is my favorite but, more importantly, my daughter's favorite snack! Favourite French food at home? Daube de Boeuf served with home-crafted baguette, unsalted butter and a wine proposed by the vintner, followed by a light dessert such as vacherin. Make sufficient baguettes to have for breakfast next morning, with unsalted butter and Mirabelle jam - oh, and THAT coffee, you know the one I mean. Salad Nicoise is delightful staple, but my absolute fave is Pepin's amazing Onion Soup Lyonnaise finished with egg yolks and sweet port poured in the center. A deep, cold winter's night delight! My favorite thing to cook at the moment are savory tartes-- tartes aux tomates, tartes aux oignons, quiches, etc. It's just so easy to improvise and add want you want. Definitely pain au chocolat! Though I'm super interested in trying my hand at quiches. I love making ratatouille, especially at this time of year.